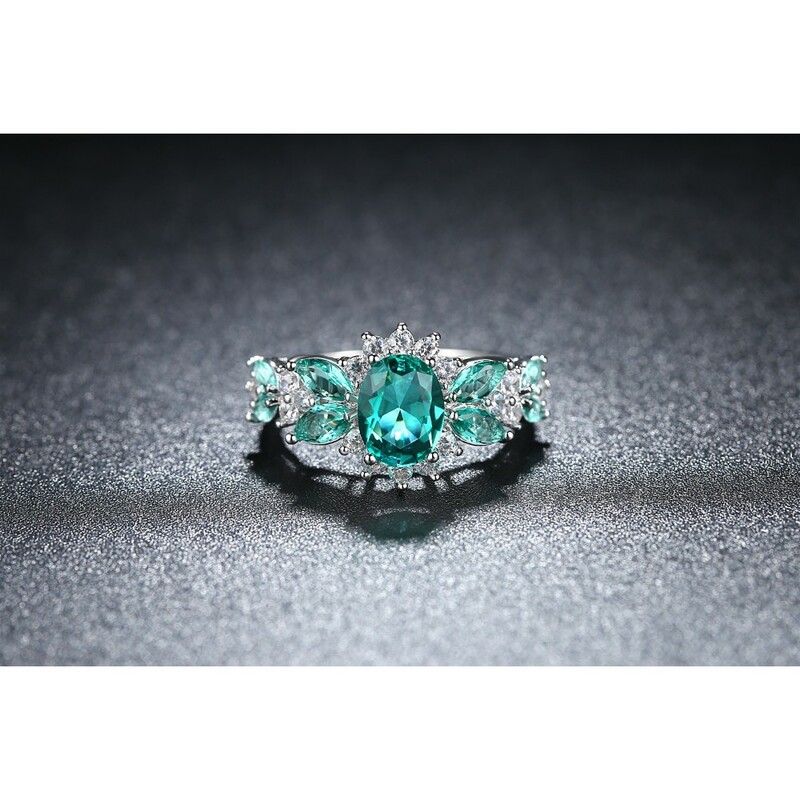 This stunning Ring is 18ct Yellow Gold Plated & Rhodium Plated, it features Seven b.. 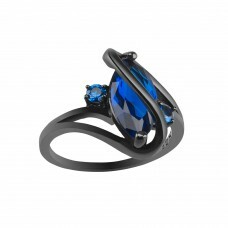 This stunning 10K Black Gold Filled Ring Features a beautiful 2.5 Carat Blue Lab-Create.. 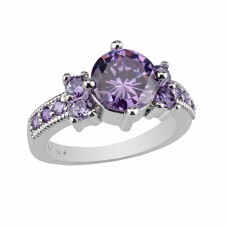 This stunning Rhodium Plated Ring Features a beautiful 2.33 Carat Amethyst . The 2.33 C.. 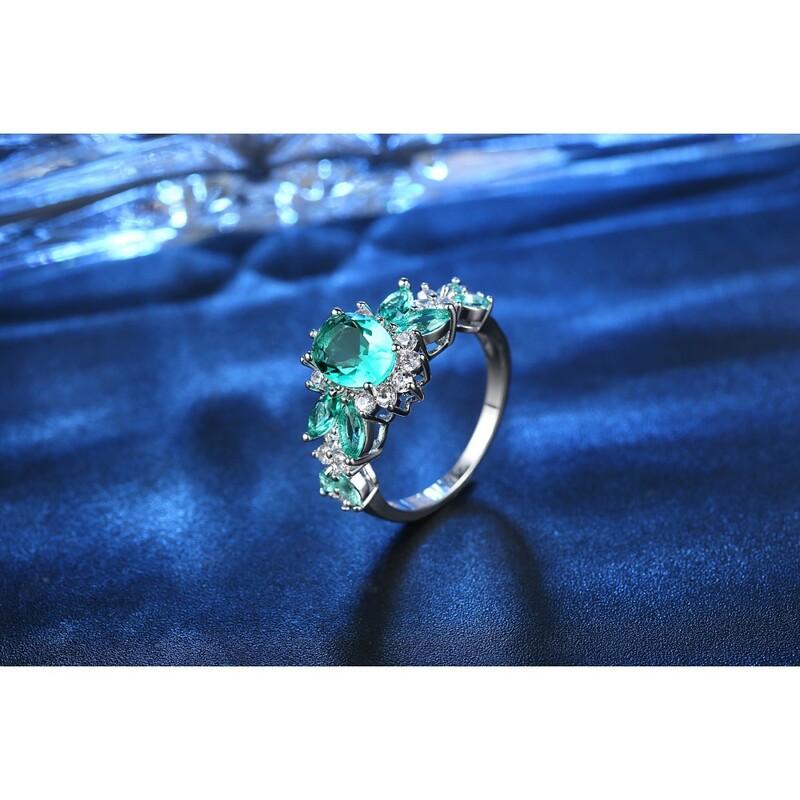 This Beautiful Aqua Marine Crystal Ring is a perfect jewellery piece for pure elegance. 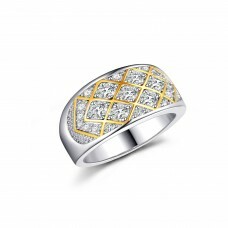 The ring is Rhodium Plated with a silver tone and slight gold tone finish and is available in 4 ring sizes. This ring also benefits from its very own Luxury Gifting Ring Box.